The Stream's weekly look at the sacrifices of U.S. troops and military families around the globe. 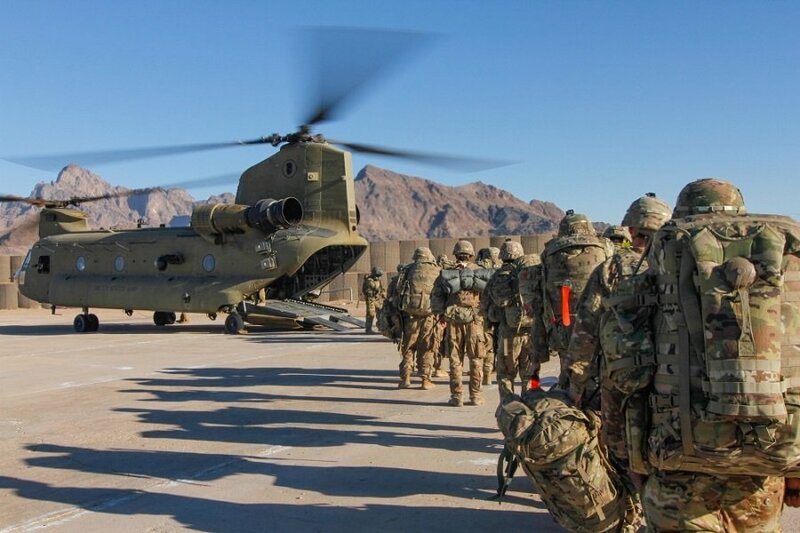 U.S. Army soldiers load onto a Chinook helicopter to head out and execute missions across Afghanistan on January 15, 2019. As negotiations aimed at ending America’s longest war continue, so does the fighting, according to the U.S. military’s commander-in-chief. So what’s actually happening in Afghanistan? There hasn’t been much news from the ground since the tragic deaths of two American soldiers, Sgt. 1st Class Joshua Beale and Sgt. Cameron Meddock, in separate attacks last month. This photo and brief caption has information about an emergency resupply mission at Bagram Airfield. I also found the below scenic shot, which was taken this week by a Utah National Guard soldier stationed at the same base. It might not be Colorado Springs, but #4ID Soldiers deployed to Bagram Airfield, Afghanistan have some great mountain views. Perhaps there isn’t as much news flowing out of Afghanistan because of a brutal stretch of winter weather, as The New York Times pointed out last Friday. I was able to find a transcript of an off-camera press briefing held earlier this week at the Pentagon. Acting Defense Secretary Patrick Shanahan, who took over for retired general James Mattis at the end of last year, briefly spoke about America’s longest war when asked by a reporter. Shanahan went on to talk about the ongoing peace negotiations, but not actual combat operations. With thousands of American troops still deployed to a war zone where “fighting continues,” according to the President of the United States, it should not be this difficult for citizens to find out what is happening on the ground in Afghanistan. Everyone involved in delivering this crucial information to the American people – from the White House and Pentagon to journalists like me – need to do a better job of keeping the military’s sacrifices in the public eye. Meanwhile, funeral services for fallen U.S. Army Sgt. Cameron Meddock will be held Saturday in Spearman, Texas, while Sgt. 1st Class Joshua Beale will be laid to rest on the same day in Hampton, Virginia. Please pray for the families, friends and fellow soldiers of these American heroes during this unimaginably difficult weekend. Two dozen al-Shabab terrorist group fighters were killed in a U.S. airstrike this week in Somalia, according to an Associated Press report. “The U.S. Africa Command says the airstrike was carried out on Wednesday near an extremist camp near Shebeeley,” AP wrote. In Syria, the latest available Department of Defense data referenced a staggering 645 coalition strikes “consisting of 1,360 engagements” between January 13 and 26. That’s almost 50 strikes per day. According to the release, 394 ISIS tactical units were targeted and 244 fighting positions destroyed. In Iraq, there were nine strikes targeting five ISIS tactical units, according to the same data. Four cave hideouts were destroyed. The most upbeat news from yet another week at war unquestionably came out of Colorado. A group of U.S. Army soldiers, including the deployed dad pictured below, returned to Fort Carson from Afghanistan. 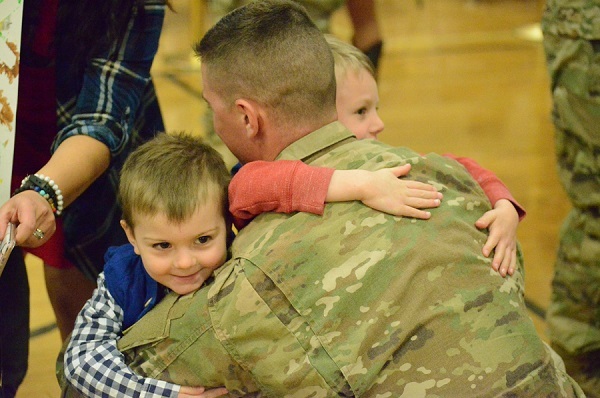 A U.S. Army soldier returning from a deployment to Afghanistan reunites with his children during a welcome home ceremony at Fort Carson in Colorado on January 28, 2019. Thank you, Lord, for reuniting this father with his children. Welcome home, hero!